Perfection needs time. No wine is good without resting some time in the right barrel, nor any wood craftsman would use a chunk of wood just chopped out of a tree. 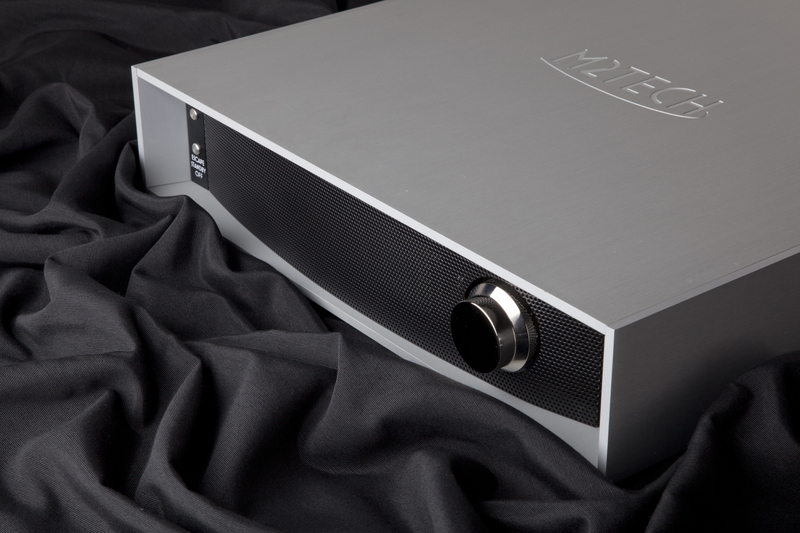 So M2Tech took their time to let Vaughan design rest down and free itself from any drawback and bug, refining its performance and growing up to a status of real Nirvana. Now, after long refinement and careful evaluation by a panel of experts, we feel Vaughan is ready to perform for the most discerning music lovers. Meet the Vaughan and prepare for a whole new musical experience! Highest quality digital-to-analog converter up to 384kHz/32bit from your PC or MAC, and from USB, I2S S/PDIF and AES/EBU. Ultra low jitter oscillators and proprietary drivers. Time shift driving of multiple DAC IC’s for improved sound quality. Fully automated battery power supply. Remote control. 1) ULTRA LOW JITTER, LOW PHASE NOISE, HIGH STABILITY OSCILLATORS The Vaughan uses two custom oscillators with ultra-low phase noise (comparable to that of very expensive OCXO’s) and very high precision. They are powered with ultra-low noise regulators to avoid phase noise increase. The standard audio drivers available on the market (e.g. Microsoft Windows operating system) dictated constraints can be overcome thanks to our proprietary drivers: they allow for transferring audio data, maintaining the original file quality without any loss of resolution quality; also, sampling frequency constraints are overcome, while Microsoft and ASIO drivers oblige to operate at no more than 96kHz. When Vaughan is used together with a player application such as FooBar (available for free on Internet), you can listen to your digital music at 384kHz/32bits maximum frequency/resolution, avoiding undesired PC or MAC audio mixer data processing during the data transfer from hard disk to interface. Presently, Windows XP, Vista, Windows 7 drivers are available, as well as Mac drivers for 10.4, 10.5, 10.6 and 10.7. The Vaughan features a sophisticated low noise power supply based on a high capacity, high surge current LiPo battery. A dedicated battery charger is managed by the system controller for a totally automatic charge management. Four DAC IC’s per channel used in mono mode are driven in a time shifting fashion to allow for an implicit low pass anti-alias filtering at analog buffer’s inputs which uses no capacitors or other passive components. Dit bericht werd geplaatst in M2Tech en getagged met audio, electronics, herman van den dungen, hifi, m2tech, music. Maak dit favoriet permalink. Ben heel benieuwd, Marco was op de HighEnd 2012 euforisch, wanneer beschikbaar? Overigens hoe staat het met de nieuwe HiFace? Prachtig apparaat en een geweldige afstandbediening.